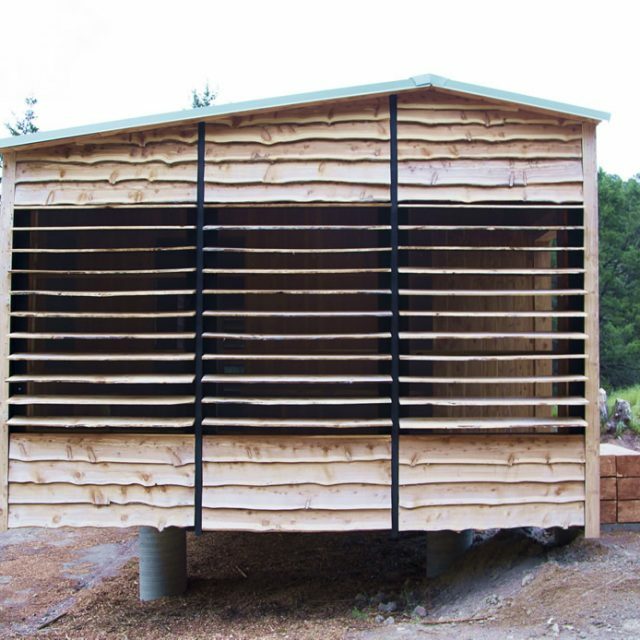 Professor Griffiths, Adam Smith and Heather Norbert lead the “CLT and The Great Plains-Professional Development Seminar for Architects” that exploring the use of cross-laminated timber in architecture. Siouxland News – Ashed Community Orchard Facility opening featured on the Siouxland News. Professor Jason Griffiths and UNL students perform the ribbon cutting City of South Sioux and local residents. UNL Nebraska Today – UNL Website lead article for 2nd March 2018 covering developments in design-build projects and at CoA program. The article features my contributions along with citations from students and clients. 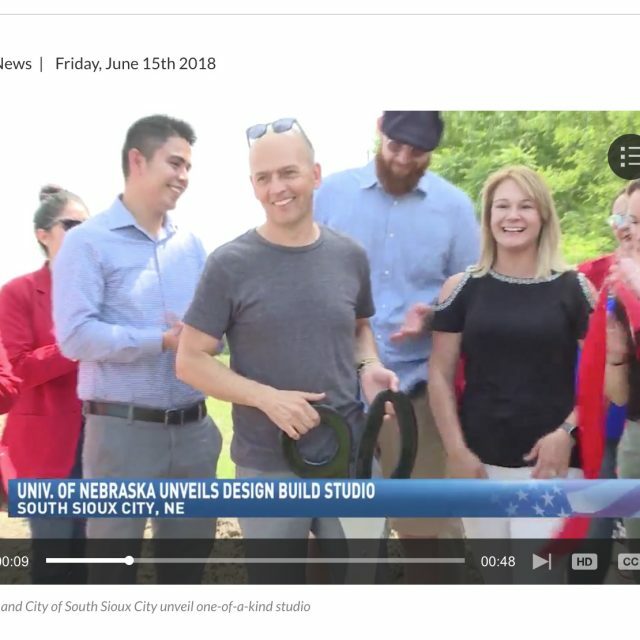 Channel 8 News – Professor Jason Griffiths and students feature on Nebraska’s Channel 8 evening news reporting on design-build projects at Cedar Point and South Sioux. News feature reporting on the completion of Emerge. Book Chapter- Chapter featuring Emerge Celebrating Excellence in Wood As a winner of the Wood Design Awards “Emerge” will be profiled in Wood Design & Building magazine’s annual awards book, Celebrating Excellence in Wood Structures. 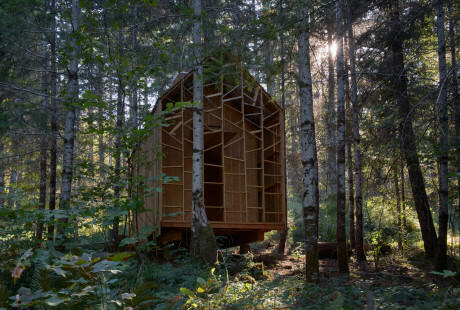 The 2015/16 awards book, Celebrating Excellence in Wood Structures, highlights this year’s winners of the Wood Design & Building Awards, as well as the frontrunners from the Canadian Wood WORKS! and U.S. WoodWorks Wood Design Awards. Graduate student Aubrey Wassung delivers conference paper: When Nature Strikes – A study of Beetle Kill in America and its Potential use for Mass Timber Construction at the 2016 ACSA Conference – Open Session. Graduate student Mackenzie Gibbens delivers conference paper: Design-Build: Service Beyond Community at the 2016 ACSA Conference. 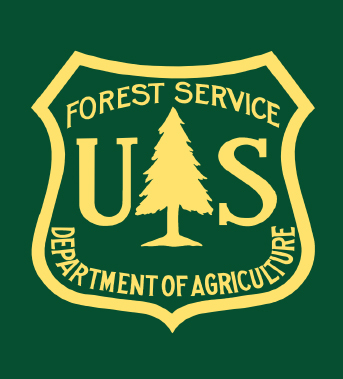 Professor Jason Griffiths and Adam Smith (Nebraska Forest Service) awarded USFS grant to support innovation and forest health U.S. Forest Service and to expand and accelerate wood energy and wood products markets. Professor Jason Griffiths awarded the W. Cecil Steward Professorship (2018 -2023) in support of design-build teaching. Professor Jason Griffiths awarded UNL CoA Faculty Award for Excellence in Outreach and Engagement.